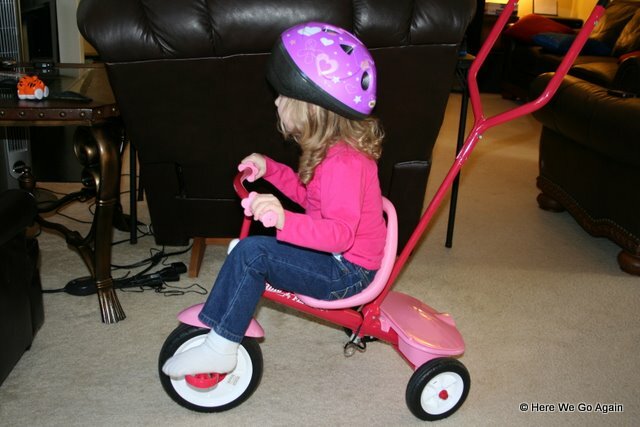 It appears that Elizabeth is riding her bike in the house. 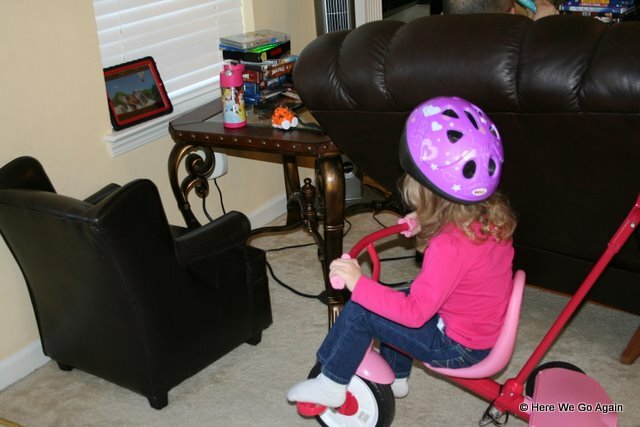 But in fact, she is watching Mickey Mouse Clubhouse, whatever episode that they ride their bikes in, so she had to have her bike too so that she could participate. See the iPad over there in the corner?Â She propped it up there herself so that she could watch and participate at the same time. And finally, due to popular demand, I have listed some hair clips on Etsy.Â Here you go.